The New Hampton Chickasaw girls and boys track and field teams will participate in the Northeast Iowa Conference indoor meet in Waverly at Wartburg College today. The will be competing against all of the other NEIC schools which includes Charles City, Crestwood, Decorah, Oelwein, Waukon and Waverly. The Meet is set to begin at 5pm. 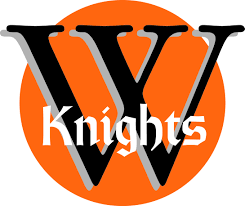 A record setting season came to an end for the Wartburg women’s basketball team this past weekend at the NCAA Division III Final Four in Rochester, Minnesota. The Knights lost to Bowdoin (BOE’din) of Maine in the national semifinals as they closed with a record of 31-1. It was a school record for wins and brought to a close the career of a senior class that led the program to a pair of Final Fours. Wartburg coach Bob Amsberry. Senior guard Katie Sommer was named a second team All American. Sommer says the senior have ties that go back to their high school days.